Captain Marvel is coming. And she might be bringing a protégé with her. The next new franchise launch and the first one to debut an all-new superhero since 2016’s Doctor Strange, Captain Marvel will break new ground for Marvel Studios as the first movie headlined by a female superhero. 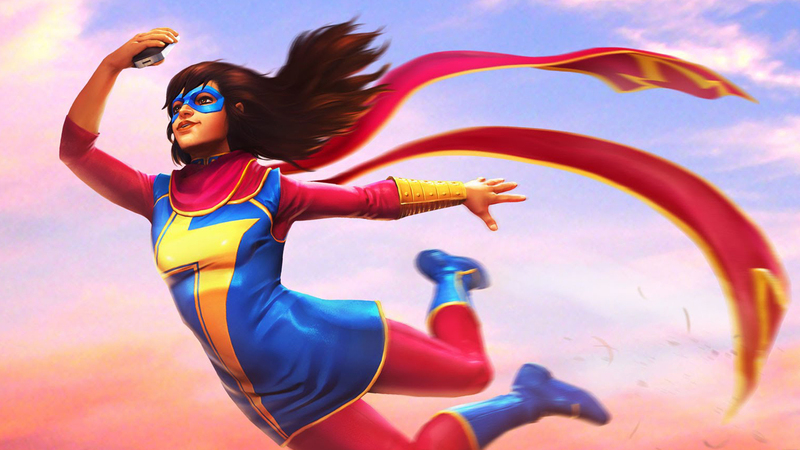 It might also introduce the Marvel Cinematic Universe’s first female teen superhero who also happens to be Muslim, Kamala Khan, aka Ms. Marvel. In a recent interview with the BBC, Marvel President Kevin Feige said that there are plans for the popular character down the road. ‘Captain Marvel’’s shooting right now with Brie Larson. Ms. Marvel, which is another character in the comic books, the Muslim hero who is inspired by Captain Marvel, is definitely sort of in the works. We have plans for that once we’ve introduced Captain Marvel to the world. Captain Marvel was currently being directed by Anna Boden and Ryan Fleck (Mississippi Grind), from a script by Nicole Perlman and Meg LeFauve. Brie Larson stars as Carol Danvers, aka Captain Marvel, with Jude Law, Ben Mendelsohn, Samuel L. Jackson and DeWanda Wise in supporting roles. Captain Marvel is slated to open in theaters on March 8, 2019.